I've just been having a quick look a JotForm and it looks like a very useful tool. 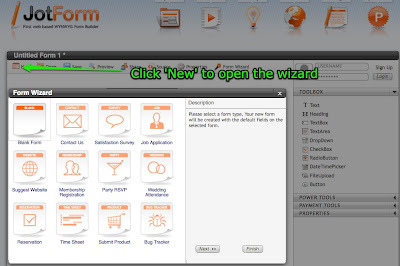 JotForm is a simple online tool for creating online forms of various kinds. There are a number of pre-configured ones that you can create and customize, just using the wizard, or you can create a blank one and add what ever features you want from the Toolbox, just by dragging them onto the page. 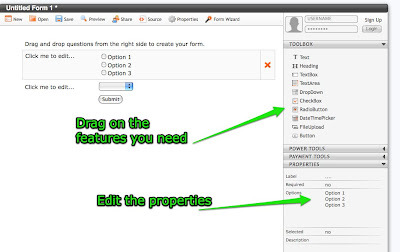 Once you have your features on the page, you just click on them and edit the properties. It really is very simple to do. 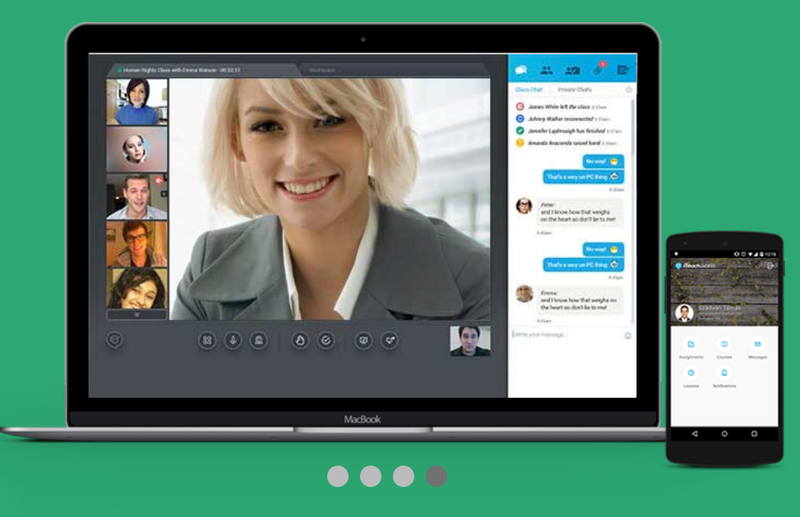 You can use JotForm for a whole range of things and it has some very powerful features. As well as adding images, password fields and captcha from the 'Power Tools' section, you can also add payment features, to enable you to charge for services. 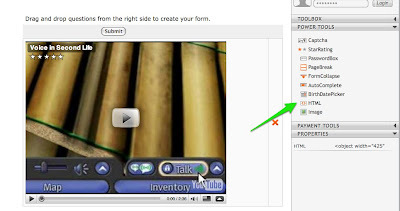 The blank form creation is great for creating your own e-learning materials. You add images, text and by dragging in an html element from the Power Tools, you can even put in code so that you can embed videos from YouTube or other rich media. Then all you need to do is add a few questions, or a text box for students to write in and when they click on submit, their answers will be sent to your email address or stored online. Apart from creating e-learning activities, you could use the forms to get feedback on your teaching or to do a range of classroom research tasks. You could even get your students creating class surveys and compiling the results. You can also embed the forms into your own website or blog. JotForm has a free option which allows for up to 3 forms a month and 100 responses, which should be enough for the average teacher. Fantastic free tool. There are some tutorials on the site too if you want to dig more deeply into the potential of this tool. Here's movie one showing you how to get started.